Owning a swimming pool is an enjoyable way to spend time with family and friends, and enjoy outdoor activities. When you make the decision that pool ownership is for you, you must understand that it is essential to properly care for your pool. One very important part of keeping your pool healthy and clean is maintaining the correct chlorine level. Chlorine helps to fight bacteria and other negative elements in the water. A level that is too low will promote the growth of these undesirable little intruders, while a level that is too high will cause discomfort to your eyes, skin and respiratory system. One way to maintain the correct chlorine levels in your pool is by requesting weekly swimming pool service from Sun Valley Pool Service in the Dallas/Fort Worth area. Keeping the chlorine levels maintained in your pool is an ongoing task. 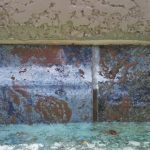 If levels become too low, the problems are not limited to the water in your pool alone. Low chlorine levels can promote the growth of harmful organisms in your filtration system, thereby causing expensive, and sometimes permanent, damage to your pool. The best way to make sure this does not happen is by testing the chemicals in your pool on a regular basis and adjusting chlorine levels as necessary. Weekly swimming pool service from Sun Valley makes this task easy, and it helps to ensure that you do not miss a poor reading, and thereby damage your swimming pool. So how does chlorine work? Chlorine is a chemical that causes a reaction when it is mixed with water. This reaction creates an environment that is unfriendly to micro-organisms, bacteria and algae. When these harmful organisms come in contact with chlorine, their cell walls are literally destroyed, ending their lifespan. The end result is a clean pool that is healthy to swim in. While chlorine is certainly beneficial, adding too much is never the answer to keeping your pool clean. Too much chlorine creates a pool environment that promotes respiratory distress, can burn the skin, and can even damage your eyesight. Maintaining the chlorine level in your pool is essentially a balancing act, in that you must add just enough, and you must never add too much. Professional weekly pool services provide expert care to help you to determine the proper chlorine levels for your pool. Taking advantage of professional weekly pool service from Sun Valley Pool Service will save you both time and money. 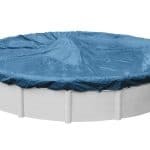 Is DIY weekly pool service possible? 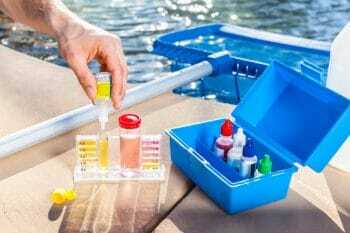 If you want to try to manage the chemicals in your pool on your own, there are many do it yourself kits available at retail stores. Some include chlorine tablets, while others include chlorine gas, liquid or granules. Which to use is a personal choice, and the best option can vary from pool to pool. 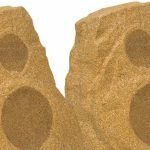 Even if you want to go it alone with your pool maintenance, it can be beneficial to hire Sun Valley Pool Service at the outset and occasionally for such specialized treatments as shock treatments. We are seasoned professionals, and we can help you to establish the correct balance of chemicals in your pool as well as providing you with valuable tips for ongoing swimming pool maintenance. Excellent weekly swimming pool service pays off! Maintaining the health of your pool is important for many reasons. It protects your family, makes your pool more enjoyable, and prevents expensive damage to the water and filtration system of your pool. Properly managing the chlorine levels in your pool is one step in this important process. Take the time to educate yourself about this essential step, and consider making good use of Sun Valley’s weekly pool service to save you both time and money while keeping your pool safe.